Where did the summer go? Can you believe that it’s already October and the leaves have have turned and started to hit the ground? 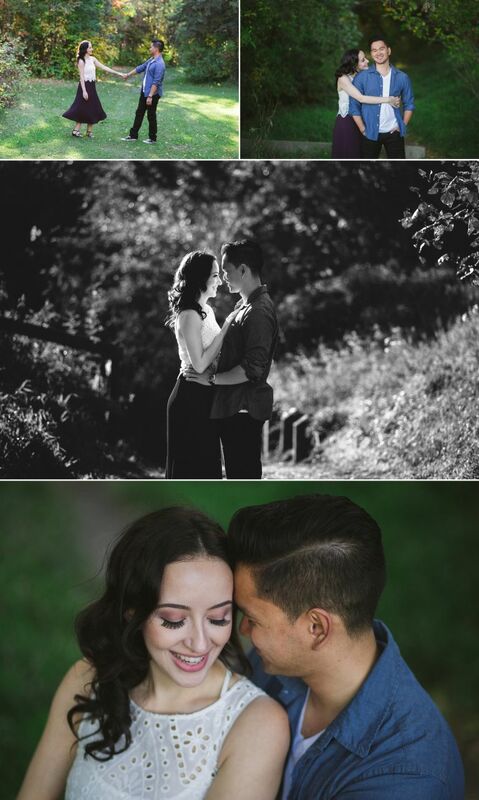 Fall is our favourite time of year and for most photographers it’s also our busiest time of year with fall weddings, family photos, and engagement photos for our couples who are getting married next year. 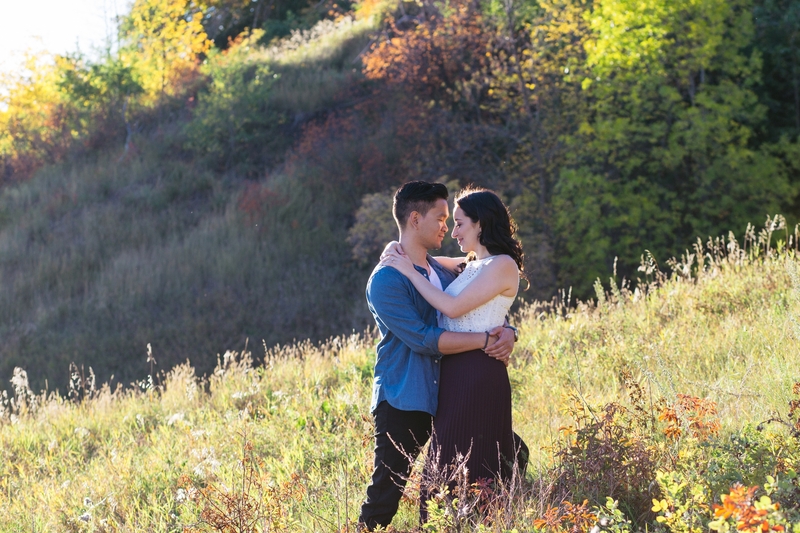 The fall colors in Edmonton’s river valley make for a stunning backdrop and the mild temperatures combined with beautiful light and less bugs makes it a perfect time of year to head outdoors for a photo session. We spent an evening with Amanda & Jed a couple of weeks ago to photograph their engagement session. They are getting married next August and really wanted to incorporate some fall colours and the city skyline into their engagement session so we headed down to Capilano Park for their session. Special thanks to Ashleigh from Miss Ashleigh Beauty who did an amazing job on Amanda’s makeup for this session. Enjoy these sneak peeks from their fall shoot.